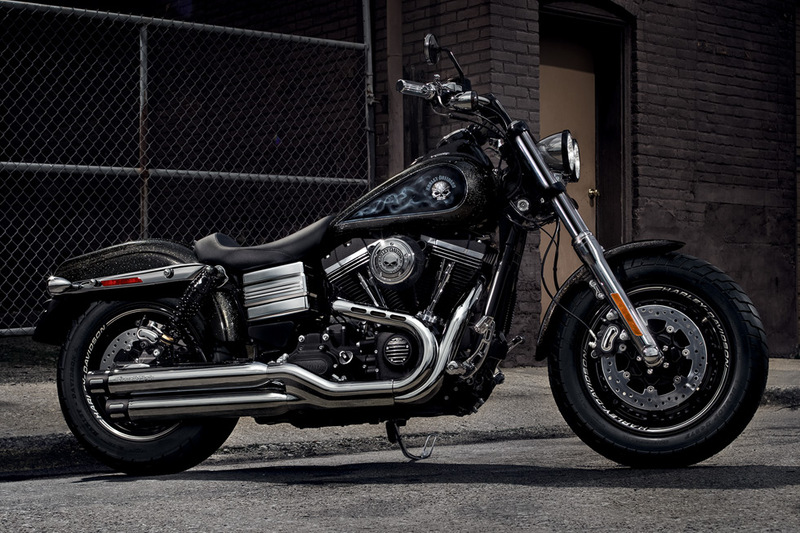 The 2016 Harley-Davidson® Fat Bob® is one of the biggest members of the Harley-Davidson® Dyna lineup. 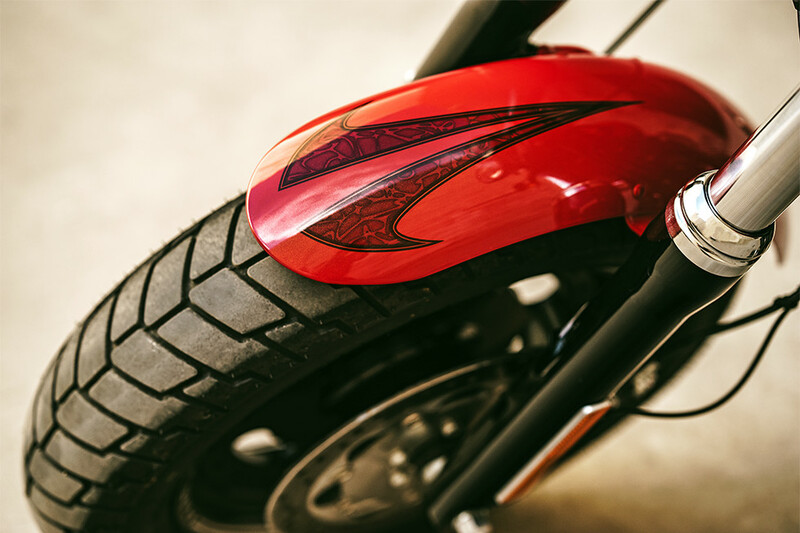 With custom paint and finishes, wide tires, and classic bobber style the Fat Bob® comes with an outsized personality and performance to match. Find out more about the newest Fat Bob® here at Avalanche Harley-Davidson®, your dealership for Denver, Colorado. The Fat Bob® is all about blacked out finishes and fat custom style. 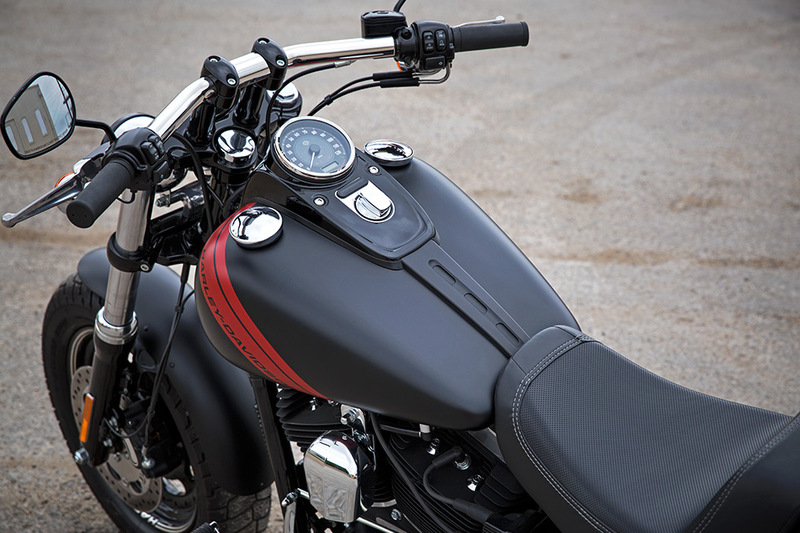 Blacked Out Finishes: The Fat Bob® is covered in custom blacked out finishes straight from the factory for a dark custom look. 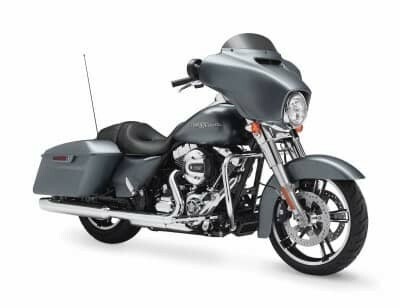 From the aluminum triple clamps and battery box cover to the headlight trim ring and rear shock covers, you’ll enjoy this stealthy style. 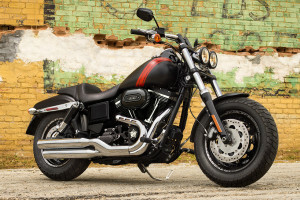 Aggressive Front End: With a big, burly fork, dual headlamps, and a 16-inch front wheel wrapped in a 130mm tire, the Fat Bob® is a mean, bold looking bike that will definitely catch eyes on the street. Diagonal Tank Graphics: Minimal tank graphics give a nod to the stripped-down nature of the bike but also add a hint of custom style. Black Machined Aluminum Slotted Disc Wheels: You need a classic set of wheels, and the Fat Bob® provides unique, aluminum-slotted disc wheels to do the job. Wrapped in fat rubber with laser etched graphics, it’s a set of hoops that’s guaranteed to turn heads. 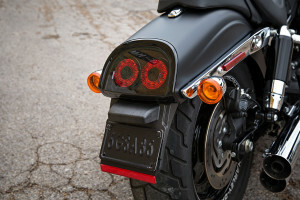 Dual Front Chrome Headlamp: While the Fat Bob® might be dark, the road ahead doesn’t have to be. 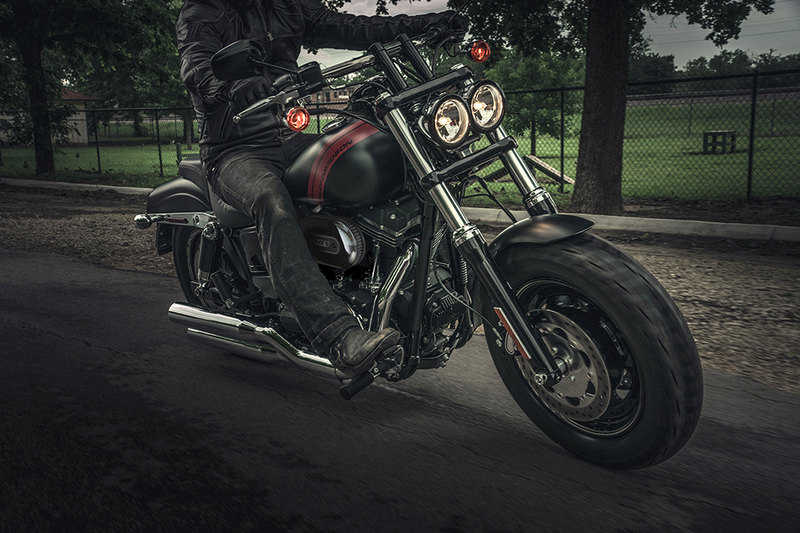 With a chrome double headlamp bucket with a black trim ring, you’ve got plenty of illumination. Drag-Style Handlebar: The Fat Bob® keeps things clean with an internally wired wired 1 1/4-inch bar on tall risers, while the distinctive sweep puts you in the perfect spot for aggressive riding. 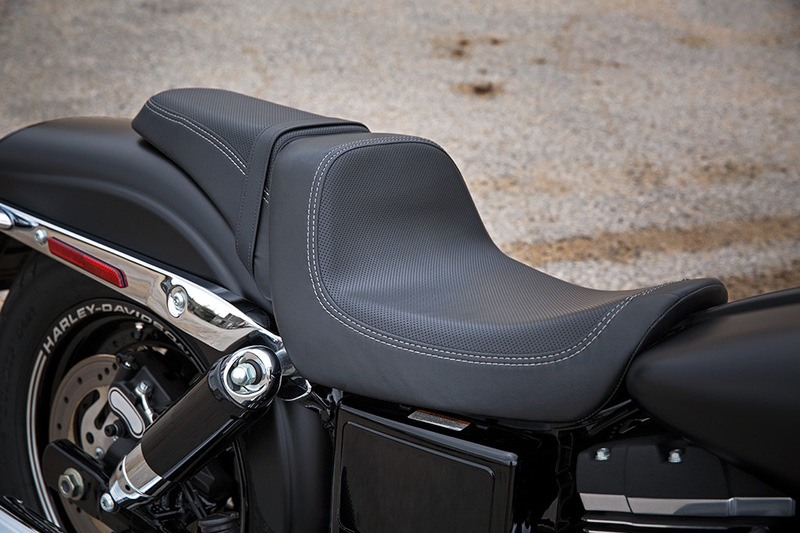 Two Up Seat: Whether you’re riding solo or with a passenger, the Fat Bob® has you covered. 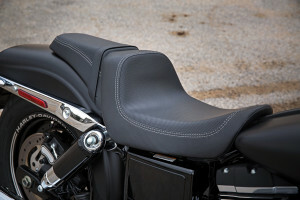 The minimal seat is comfortable and well designed for all day riding. Blunt Cut Mufflers: Aggressive, blunt cut mufflers complement the minimal, blacked out styling of the Fat Bob®. These are the kind of modern details you’ll appreciate for a long time to come. Low Profile Tank Console: The low-profile, tank mounted console gives you quick and easy access to the information you need along with a 5-inch gauge and ignition switch. 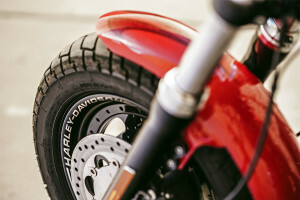 Trimmed Rear Fender: The rear fender on the Fat Bob® is about as short as legally allowed, and it’s stylishly held up with a chrome support. The Fat Bob® features a powerful High Output Twin Cam 103™ V-Twin engine that benefits from over 100 years of engine expertise and development. 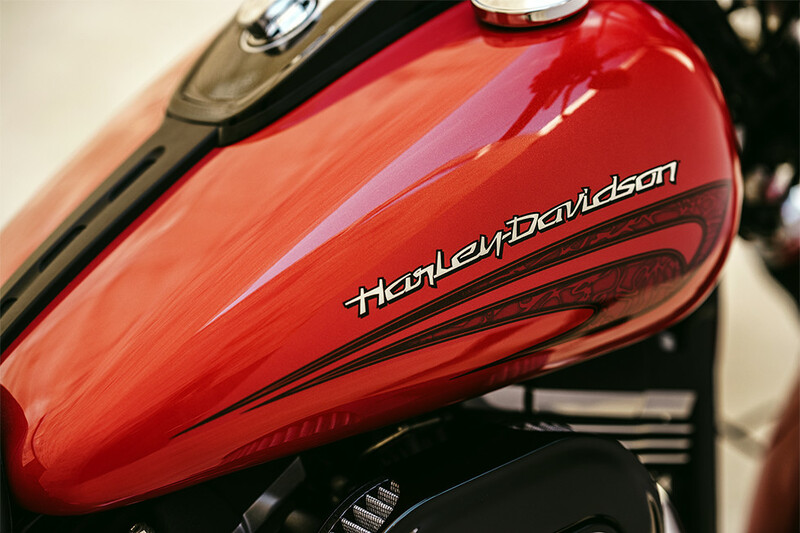 High Output Twin Cam 103™ Engine Power: The air-cooled High Output Twin Cam 103™ engine offers unbeatable power and performance thanks to contemporary features like Electronic Sequential Fuel Injection, giving you the torque to motor past trucks on the freeway. 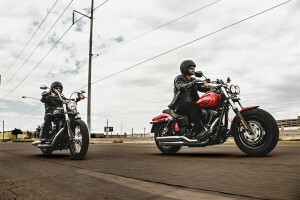 High Output Twin Cam 103™ Engine: The latest V-Twin from Harley-Davidson® is the successor to the Flathead, Knucklehead, Panhead, Shovelhead, Evolution®, and Twin Cam 88® and Twin Cam 96® engines. Decades of testing have given us the experience to develop an engine that provides performance and reliability you can believe in. High Output Twin Cam 103™ Engine Innovation: Low maintenance and unmatched durability is the name of the game when it comes to the Twin Cam 103™. With fuel injection and lightweight alloy cylinders and heads, you know this engine will stay cool and keep running when you need it to. Pure Harley-Davidson Styling: Black powder-coated heads and cylinders accented by the brilliant machined cooling fin tips and chrome rocker covers make this a beautiful powertrain that matches the rest of this classic bike. Six-Speed Cruise Drive® Transmission: The Six-Speed Cruise Drive® is smooth, easy to shift, and perfectly matched to the Twin Cam 103™. It delivers power in low gears to get you up to speed fast, and the tall top gear provides quiet, smooth cruising on the highway. Despite its classic looks, the Fat Bob® offers advanced modern features to keep things safe and secure. H-D® Smart Security System (Optional): If you opt for this feature, you’ll know your bike is safe. 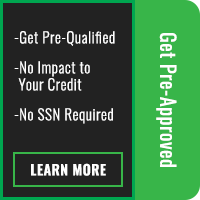 The security system automatically activates when you leave thanks to a wireless keyfob. 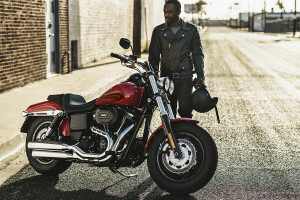 Anti-Lock Brakes (Optional): For the rider that wants the confidence to stop in all conditions, the Fat Bob® is offered with a low-profile antilock brake system to prevent wheel lock even when the roads are slippery. 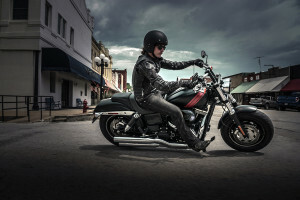 The Fat Bob® is designed to provide all day comfort and predictable handling in all conditions. 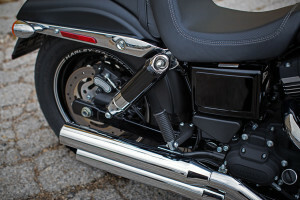 Forward-Mount Controls: Forward-mount controls on the Fat Bob® put your feet out front so you can stretch, relax, and enjoy the all-day upright cruiser position. Adjustable Suspension: A wrench is all you need to adjust the rear suspension on the Fat Bob®. It’s simple to dial in the ideal firmness for your needs. 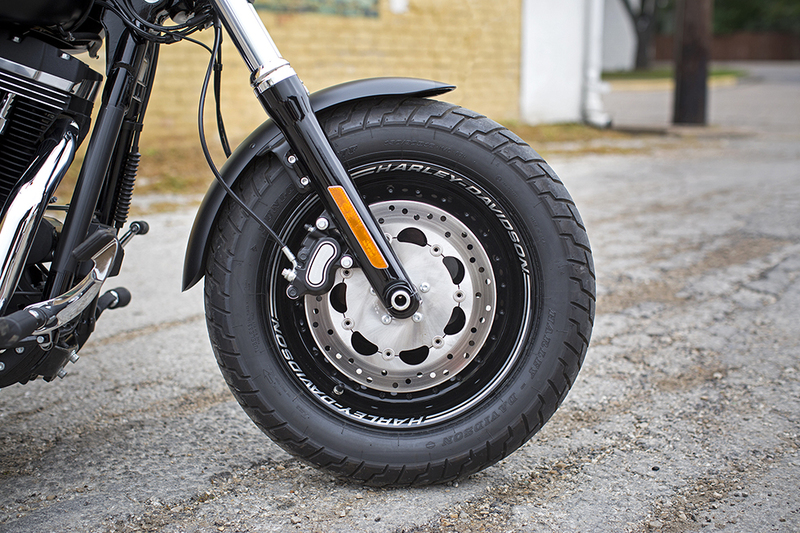 Dual Disc Front Brakes: Four-piston calipers grab hold of dual front rotors so you can slow down in a hurry. Brake power is just as important as engine torque, so you’ll be glad you’ve got these brakes strapped onto the fork of the Fat Bob®.